Murg do pyaza/ Chicken do pyaza is little bit sweet, spicy and mouth-watering dish. It has got plenty of onions. 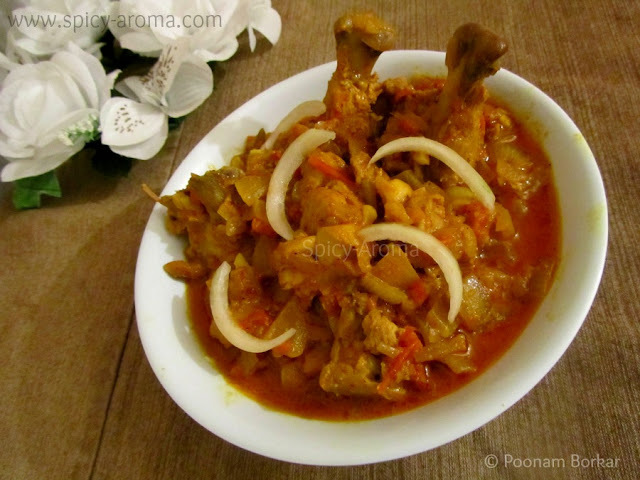 As the name suggests ‘do’ means ‘two’, this preparation requires almost double the quantity of onions than any regular chicken curry. If you don’t want to use whole spices, you can replace them with coriander powder, cumin powder and garam masala. 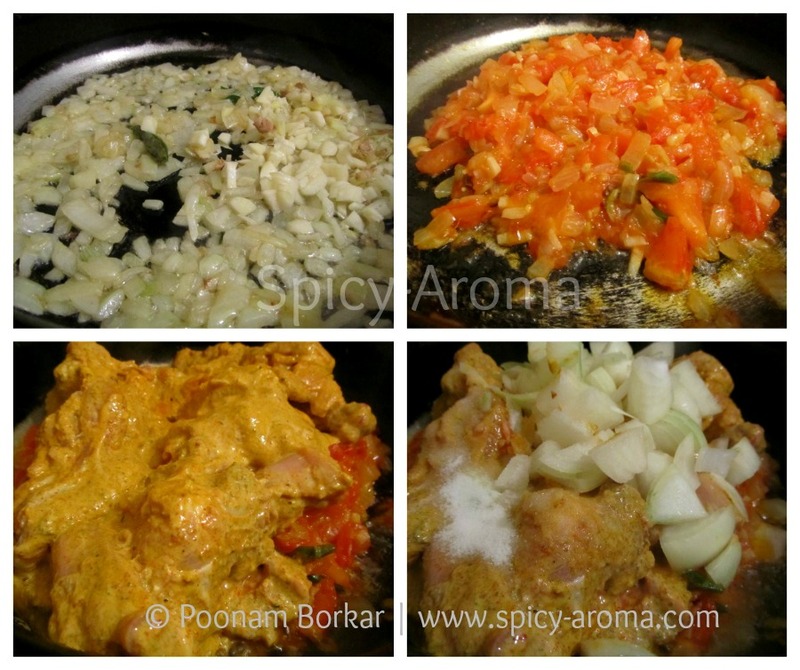 This way, you can make this curry quickly. 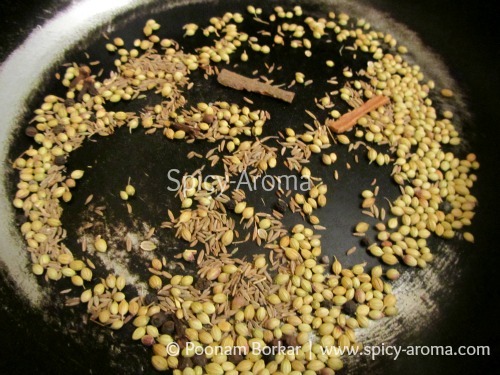 But I recommend using whole spices; it gives nice aroma and taste too. 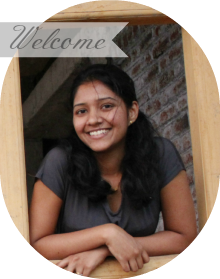 Do give it a try and let me know how you like it. 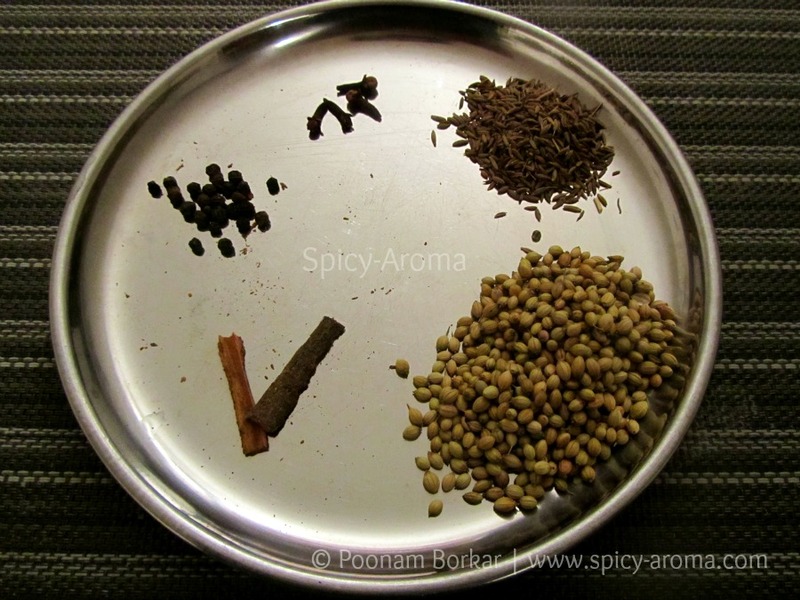 Dry roast all spices mentioned above on low heat until you smell nice aroma coming out. When cooled, add into a blender or coffee grinder and make a fine powder. Cut the chicken into medium sized pieces and wash under warm water. 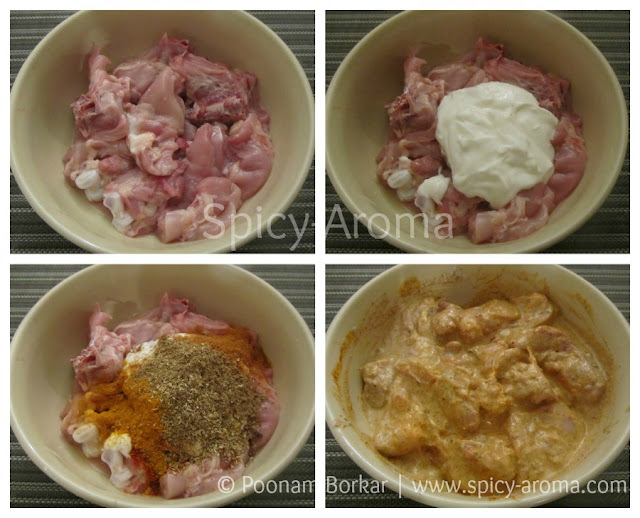 Add in yogurt, red chilli powder, turmeric powder, paprika and ground spices powder. Mix well and let it rest in refrigerator for at least 1 hour. Heat up oil in a saucepan. 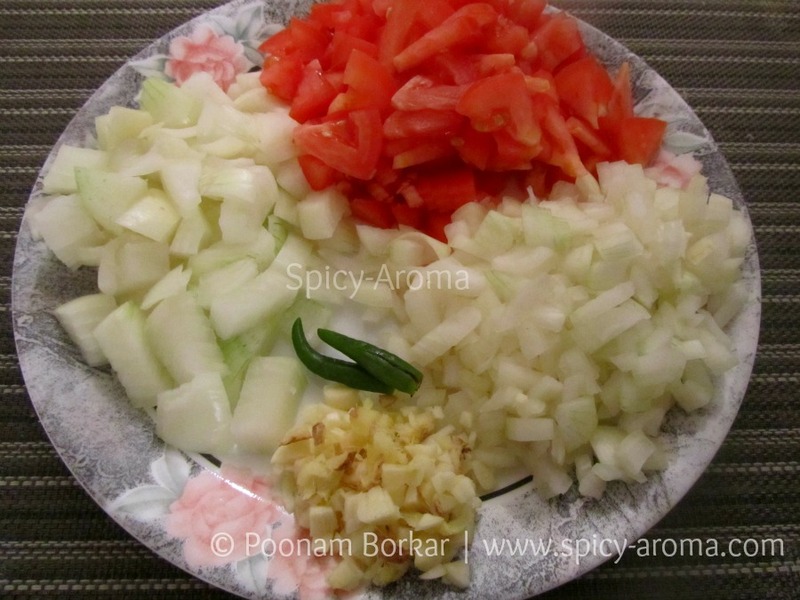 Add slit green chillies and finely chopped onions. Sauté till onions turn slight brown. This may take 6-8 minutes. Add ginger and garlic and sauté till raw smell from them goes away. Add chopped tomato and cook until it gets mashed up with onions. Then add marinated chicken, onion cubes and salt to taste. Adjust the consistency of the curry by adding water as per your requirement.Mix well and cover the pan. Let it cook for 10 minutes, keep stirring in between. 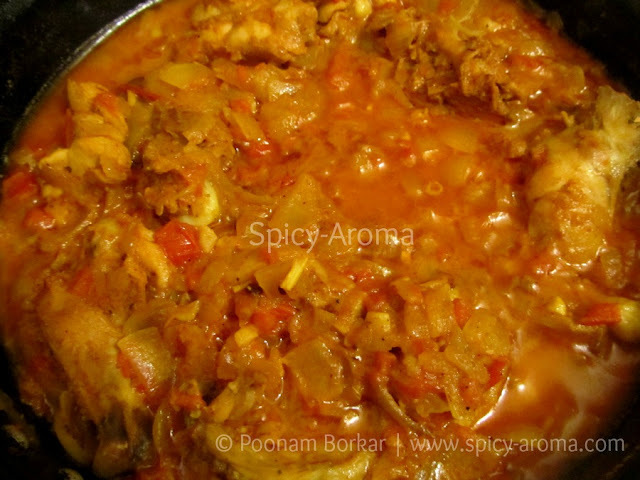 Now reduce the heat and let the curry simmer on low heat for 5 minutes. Switch off the heat and garnish curry with fresh cilantro. 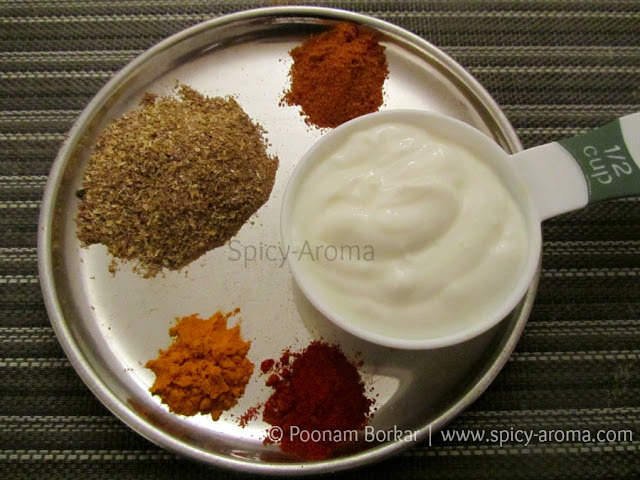 Serve hot with any Indian flatbread or rice. Slurp,fingerlicking curry..I can have it with anything. looks fabulous n very tempting..